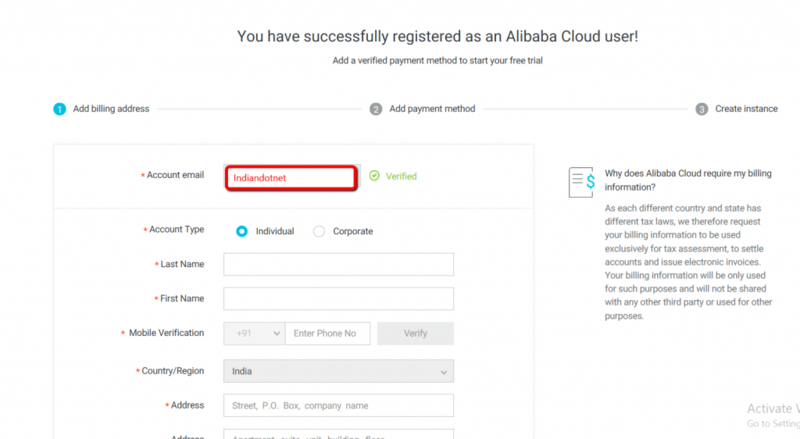 In the series on Step by Step tutorial of Alibaba cloud learning this our 2nd tutorial where we will describe registration process to avail free credits and use Alibaba cloud. 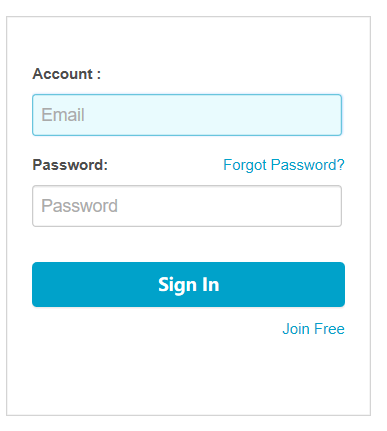 After clicking the Free Account you will get the following screen where you need to provide basic details like your email & password to create an account. 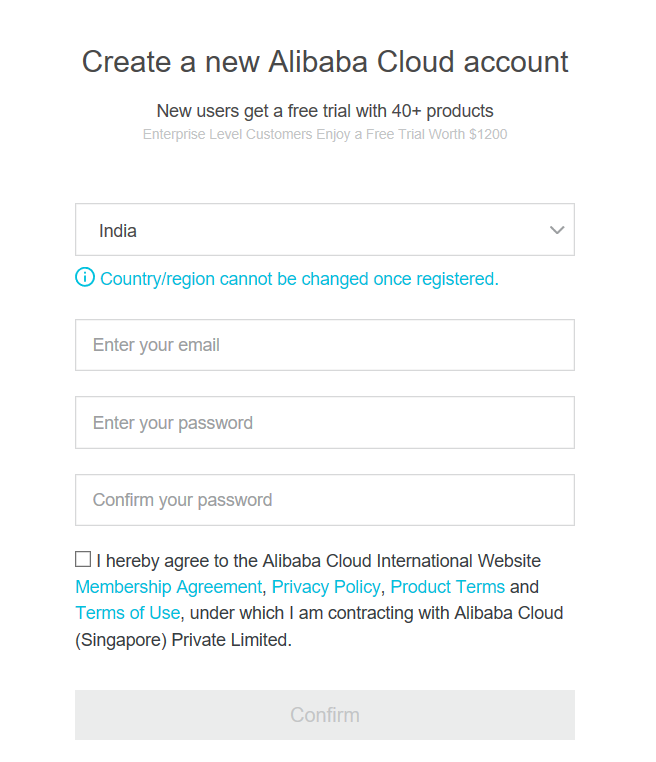 Remember the Email should be valid because a validation code will be sent by Alibaba Cloud services to verify your email account. Once you fill your Email and password and click confirm. 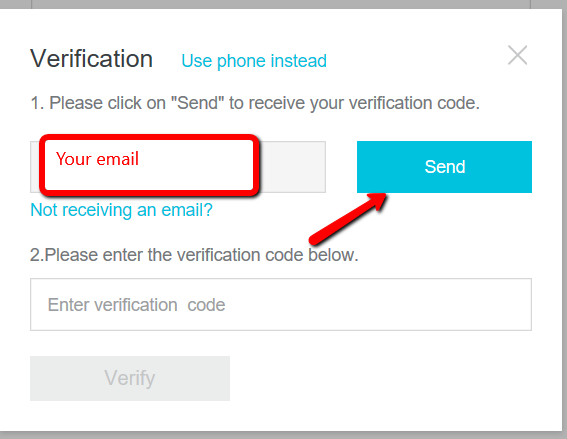 A Verification popup will open as shown in below screen where you have to click on the send button to send a unique code to verify your email account. You have put that verification code and verify your account. Once your email is verified so I will say congratulations your account is created in Alibaba Cloud. Although, there are still a few pending steps. But before that, you have to login into the system via the following screen as shown in the image. After successful login, your half way is done you will get a nice dashboard screen as shown below. so, it depends on what you prefer. After providing proper details of card or PayPal a minimum amount less than $1 transaction will be raised by Alibaba Cloud service to verify your payment information. 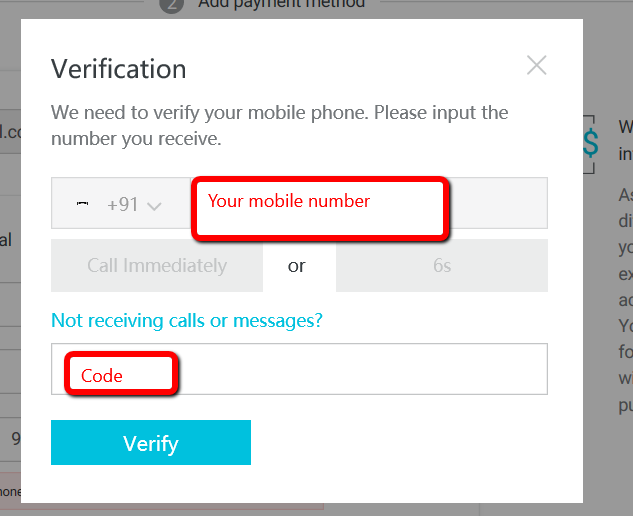 Remember you have to provide your proper mobile number so it should be valid. 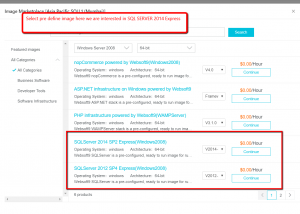 Now, You are good to go to use Alibaba cloud services. 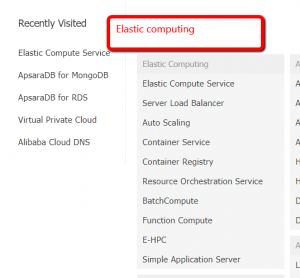 In Next step we will learn more about Alibaba Cloud services and try to do some practice.